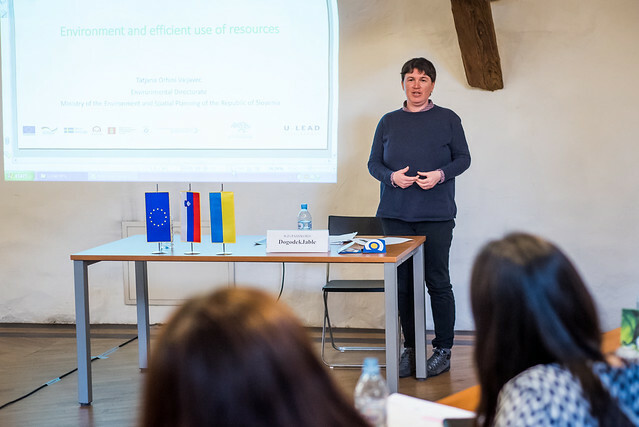 On 28th of March, the fourth study visit “Travel to Know – Travel to Change” in the framework of „U-LEAD with Europe – Ukraine – Local Empowerment, Accountability and Development” programme concluded with a closing ceremony in Krško. The visit took place between 24th and 28th of March 2019 with 18 public officials from Ukraine visiting Ljubljana, Logatec, Vrhnika, Celje and Krško under the patronage of U-LEAD with Europe Programme. The project on the topic of waste management – “Upgrading Municipal Waste Management Services” – helps key actors of 36 selected amalgamated hromadas (AH) in three Ukrainian regions (Dnipropetrovsk, Volyn and Zhytomyr) to implement green approaches in the waste management sector and to obtain knowledge about the best practices of transparent and accountable waste management services, which is responsive to the needs of population. The fourth international study visit put an emphasis on positive and negative cases of implementation of efficient waste management in Slovenia. 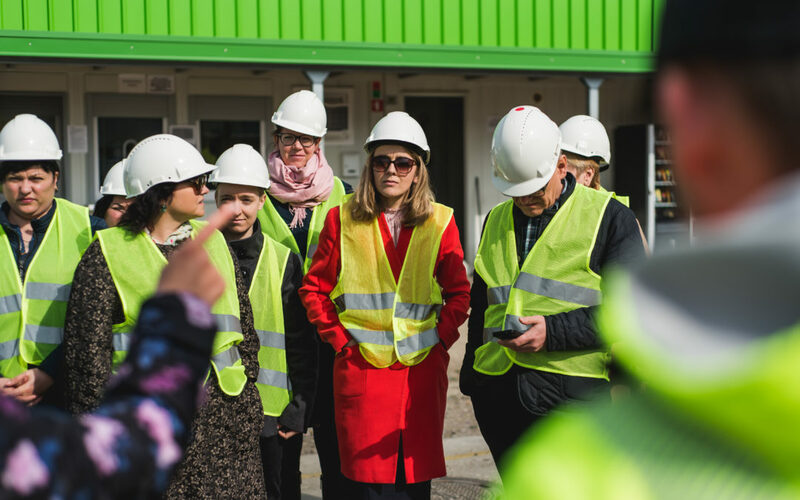 Participants learned more about the experience in municipal waste management planning, municipal waste collection, treatment and disposal options during the visits to waste management companies Snaga Ljubljana, Kemis Vrhnika and Kostak Krško. Visiting a modern incineration and a waste treatment plant in Celje (Toplarna Celje) gave the participants an opportunity to get acquainted with new technologies that could be taken into consideration for further contribution of AHs to the regional waste management planning. The fourth study visit was especially fruitful for Deputy Head of Krynychanska amalgamated territorial community from Ukraine, Mrs Trotsenko and the Mayor of Logatec, Mr Menard, who signed the letter of intent for cooperation during the visit to the Municipality of Logatec. The participants also met with the Mayor of Krško, Mr Stanko, who received the group and met with Mr Yevtukh, Deputy Head of Yemilchynska amalgamated territorial community, with whom they discussed the possibility for cooperation in the future.